Tagaytay had always been unapologetic of it's innate beauty and luxurious lifestyle. No wonder that the population of restaurants and malls had been constantly moving up as people continue to be in awe of the things that is has to offer. 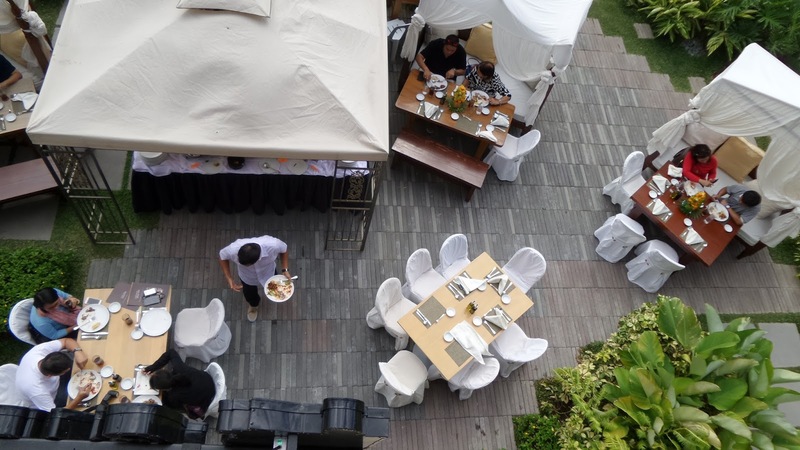 As the number of people rise to a crowd in every season, famed establishments gets stuffier and the need to be in a relaxed ambiance is already compromised. 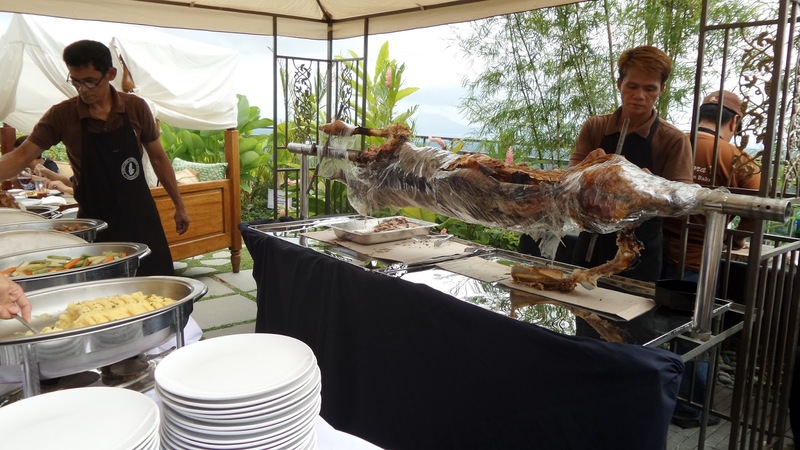 So it's a good a news to have Twin Lakes around to bring Tagaytay-goers to a different level, pun intended. Tagaytay Twin Lakes is said to become the country's first-ever vineyard resort community and the first master-planned integrated tourism estate in the area. This top-notched project was made possible by Global-Estates Resorts Inc.which is a subsidiary of Megaworld Corp.
Aside from the spectacular view of the world-famous Taal Volcano, Tagaytay Twin Lakes offers residential villas, condominiums, townhouses, hotel and resort, commercial and retail hubs as well as sports and leisure facilities on the rise. The commercial area is almost complete and have launched a number of dining spots already, and one of them is Buon Giorno. Don't you want to cozy up with this breath-taking view as your backdrop? Buon Giorno in Twin Lakes have different dining nooks in a two-story building. The photo above is located at the veranda on the upper floor of the resto. From the same veranda is this view of the lower level where the garden is located. On the lower level of the building is a smaller dining place with a bar. 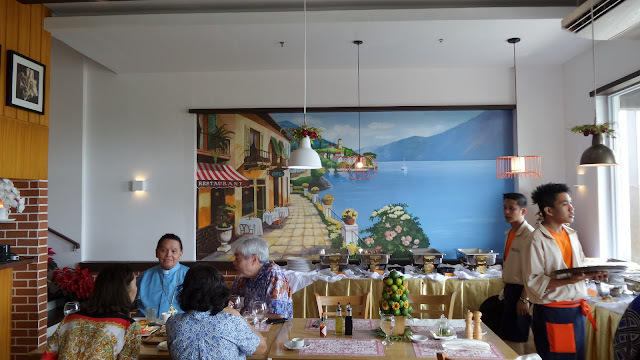 Invibing the Italian-vineyard and winery feels from the Twin Lakes theme-concept, the walls of the lower level dining place is painted drawing inspiration from the same concept. 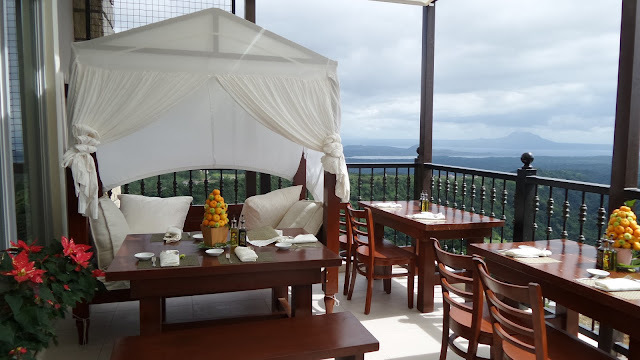 The drive from Manila, passing through Silang Road all the way to Tagaytay's main highway leading to Nasugbu, Batangas, isn't a joke, however, this is such a nice break from a long drive from Manila to Batangas. We are just so thankful that Buon Giorno's grand launch was more than a treat to all their guests, including us. This Pit-roast Calf (cow) is just one thing that we can say the long drive was enough. Adoring another painted wall from the same lower level, and you might noticed as well the miss-matched pendant lights hanging from the ceiling. Even the flight of staircases is such a beholder. 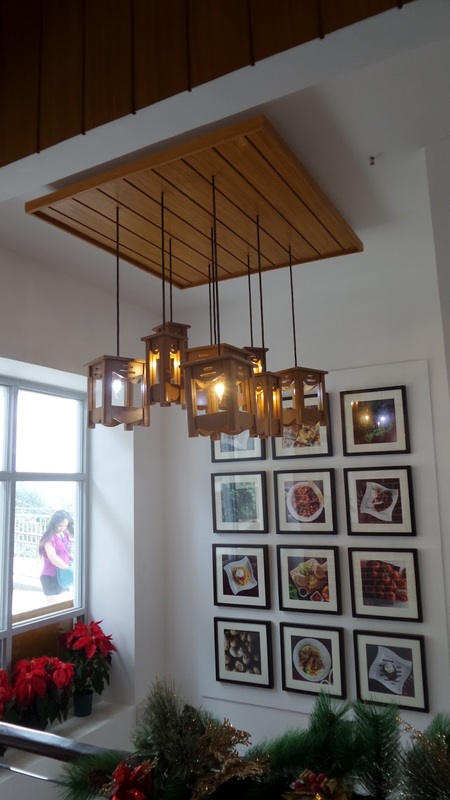 Lovely wooden-framed lights play softly with the monotoned pictures frames on the wall. 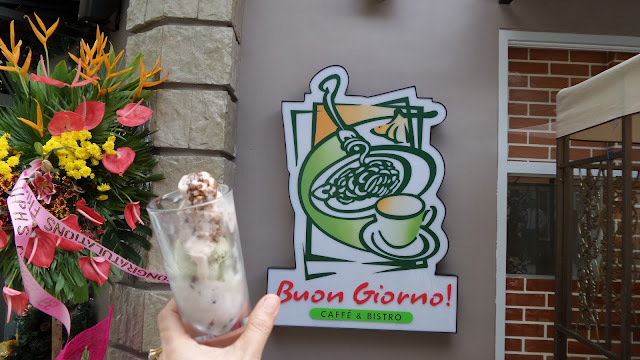 The photos are just some of Buon Giorno! 's best-sellers. This famous Italian resto dishes up a wide selection of pastas, panini, salads, pizzas, risottos, lamb, steaks and other sumptuous entree. My favorite entree is their Osso Buco on Rissotto alla Milanese, a dish from Northern Italy. This bistro offers salads (not in the manner showed in the photo above though) like the Green Goddess Salad - mixed lettuce greens with feta cheese and drizzled in a special Green Goddess Dressing, and who doesn't know their Caprese Salad. 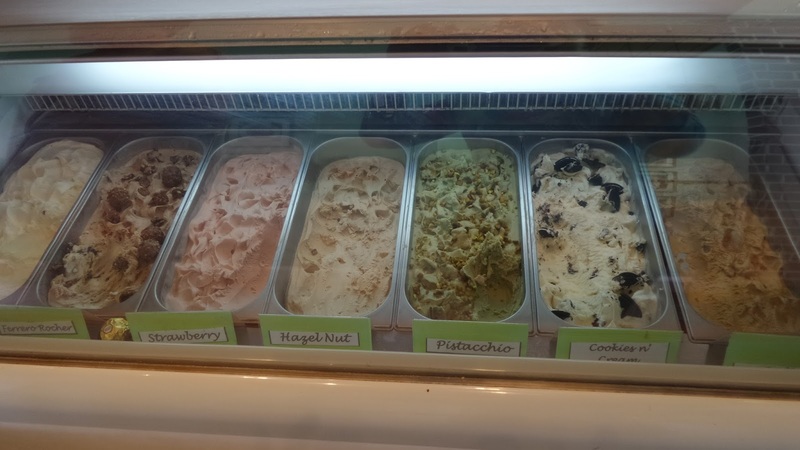 Dessert is nothing short of spectacular as a glass encased cold storage is lined up with gelato. Ferrero Rocher and Pistacchio. 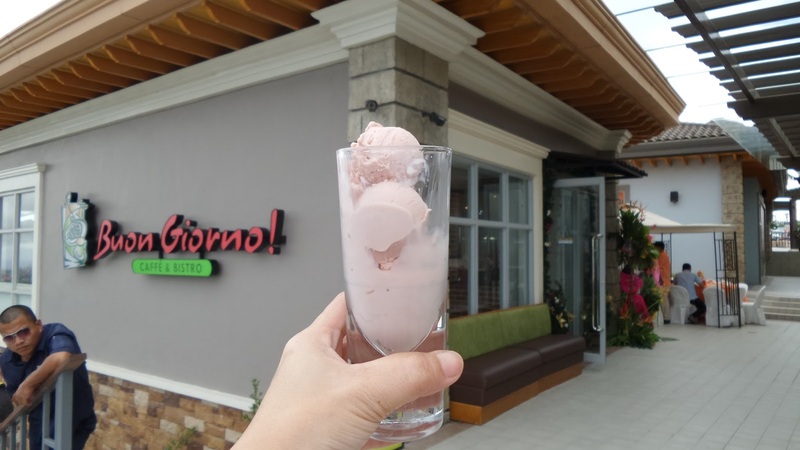 I also love the velvety smooth strawberry gelato. 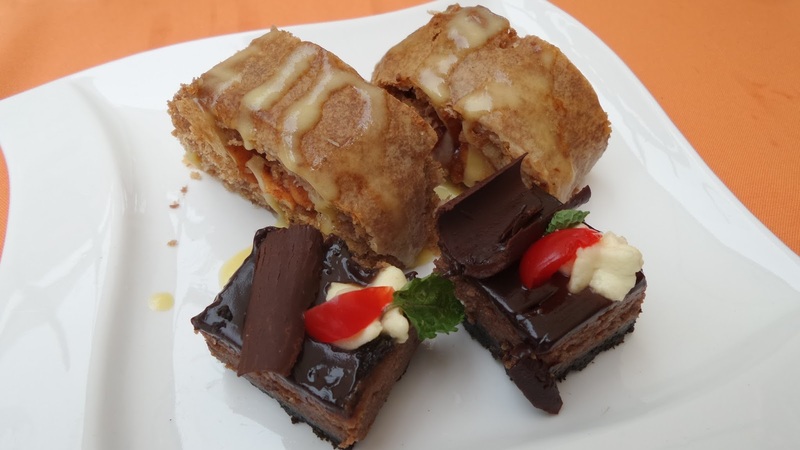 Aside form the usual Italian sweets - Panna Cotta or the Tiramisu, you wouldn't want to miss the Apple Strudel and Chocolate Supreme Cheesecake. The melding of the rich chocolatey flavor and the tart cream cheese was so dreamy that having fork bite after fork bites plus the adorable weather and matching view will surely make you feel like a Sicillian rural girl. 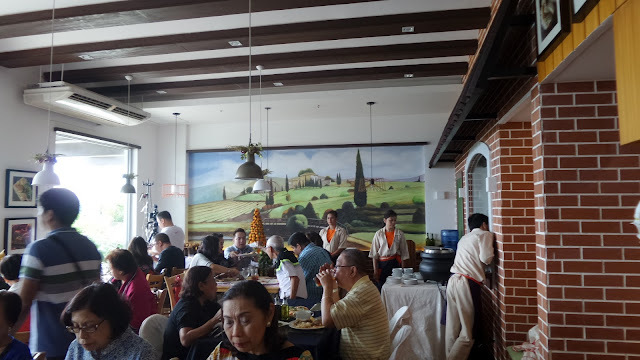 Why don't you drive a little further from Tagaytay city and experience a more relaxing meal away from noisy crowds and bask in the serene view and just escape city stress here in Buon Giorno! Caffee and Bistro. 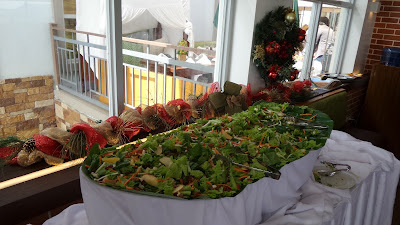 There are a lot more restaurants here in Twin Lakes, do visit us again for future reviews of them.